Ironing add-on so as not to wrinkle the clothes. Spray the clothes before ironing it. 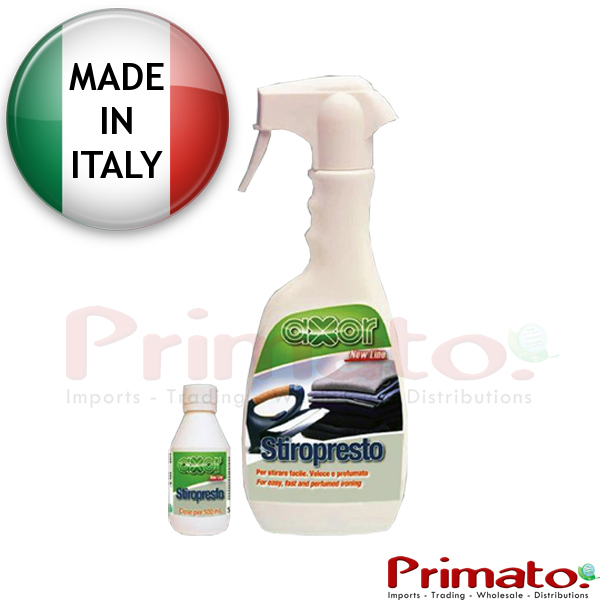 It stretches the fabric of the fabric and helps to quickly eliminate the creases. It has a light fresh scent. Code: EP111. Pack: 500ml / spray bottle. When the liquid is over, you do not have to throw away the bottle. Just fill the bottle with a superconcentrated liquid EP111R. ), fill with water and stir. Stiropresto is again ready for use. Protect the environment from the unnecessary waste of plastic in the trash and at the same time save you money.